This photograph came from a trip a took after I graduated college. I've never been to Europe before and when I arrived in London I felt like I was home. I roamed the streets day and night and found the London Bridge to be breath taking during the evening. I had to capture that beauty on film and I think the black and white gives it something more. As part of The London Pass we visited Tower Bridge. London - the city that has everything for the budding tourist - culture, sights, experiences and an amazing history. 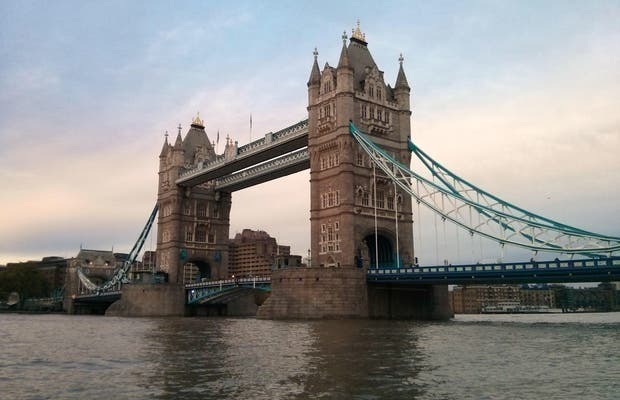 Here is the famous Tower Bridge a spectacle for tourists and this shot was taken during the time of the Olympics. A classic, but truly magnificent place to visit. Get there on a sunny day and it will truly impose on you the grandeur of this institution. There is an awesome marina behind Tower Bridge, on the north side. You should go!